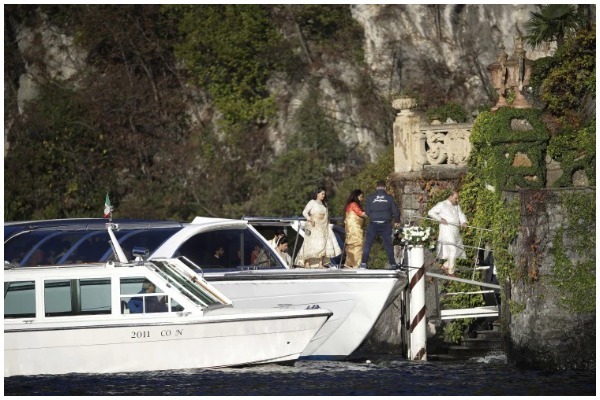 Deepika Padukone and Ranveer Singh are officially married in traditional Konkani ceremony yesterday at Lake Como in Italy. 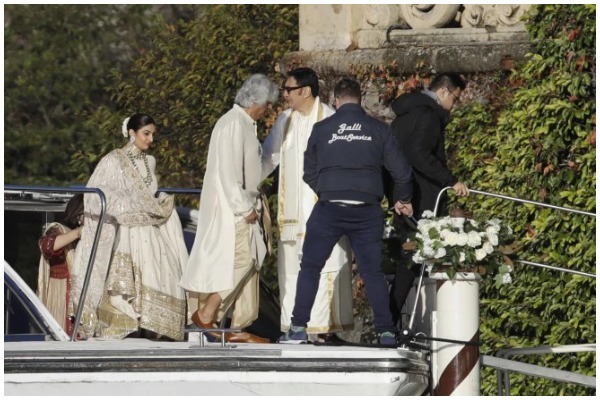 The couple who did not leak any of their wedding photos on the social media until now have literally caused a frenzy of excitement among million of fan followers over internet. 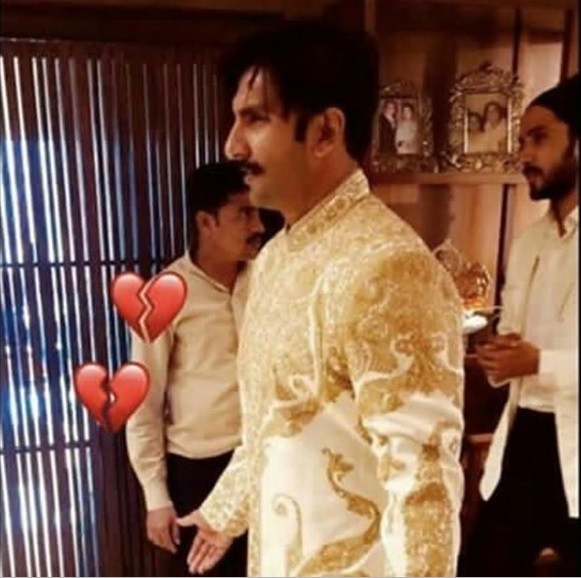 Though Deepika and Ranveer remained strict with their NOT to post any of their wedding or pre-wedding pictures and videos on social media, someone form their guest list have done the needful by posting pictures and videos of #DeepVeer’s wedding ceremony. 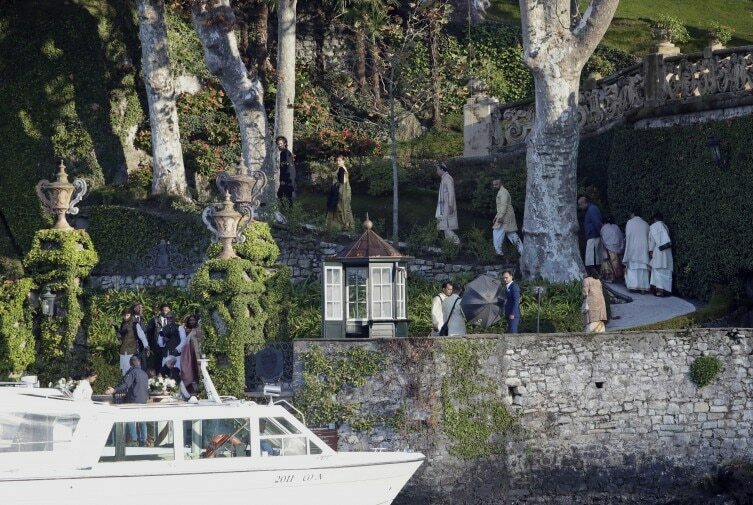 We cannot thank them enough for giving us some relief from our over excitement and finally let us our spying inside Deepika – Ranveer’s frand wedding ceremony. 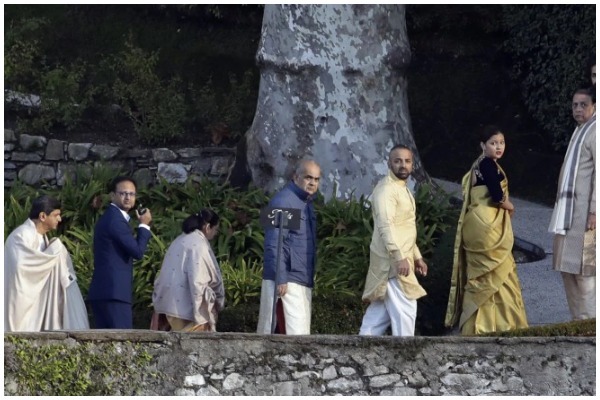 In the photos we see all the guests have arrived in ivory and gold ensemble, keeping a traditional South-Indian wedding in mind. 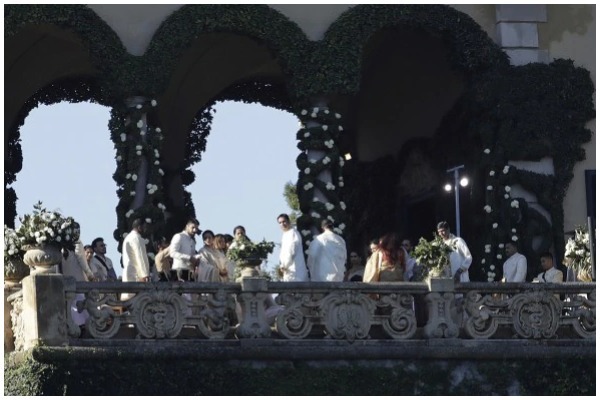 We can even see the glimpse of Groom -Ranveer Singh and Bride- Deepika Padukone wearing an ivory and gold color-coordinated wedding dress at their first wedding ceremony. 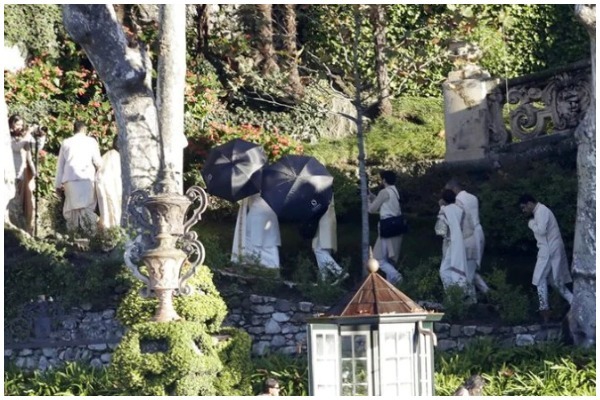 Below is the video where Deepika and Ranveer are seen walking the aisle towards their wedding venue, but hid their wedding looks behind the umbrellas. 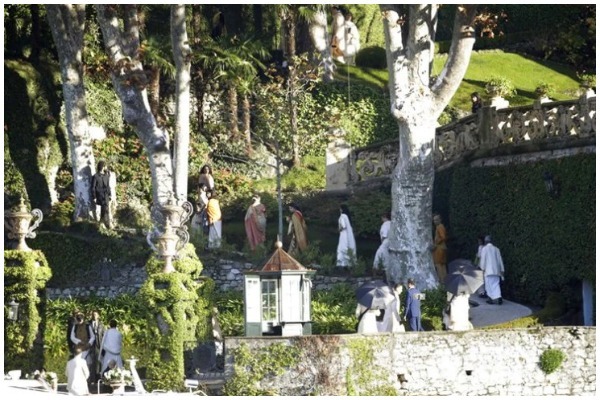 Today Ranveer Singh and Deepika Padukone will tie the knot in a traditional Sikh ceremony known as Anand Karaj. 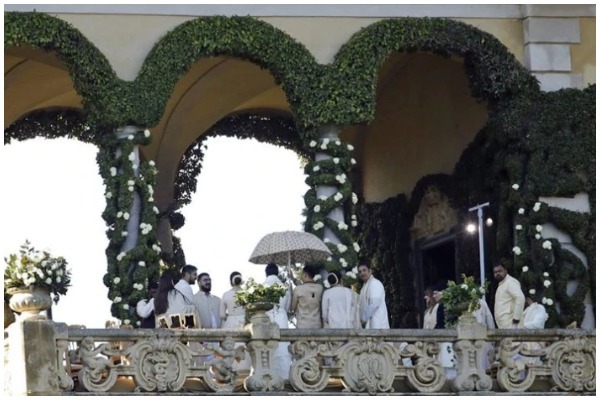 Stay tuned with Eventznu as well bring more inside pictures and videos from Deepika-Ranveer’s wedding. 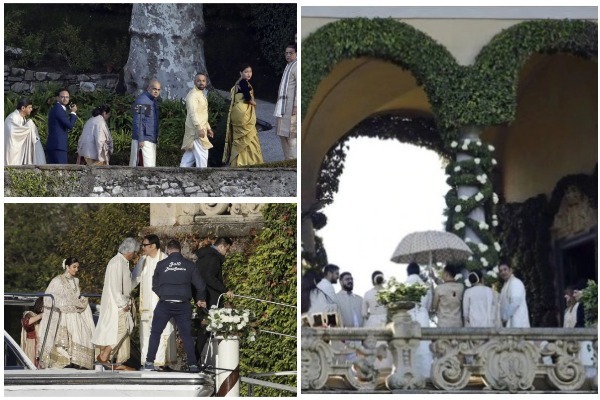 Subscribe with Eventznu and Follow us on Facebook as we will share the pictures and videos from #DeepVeer’s wedding soon.